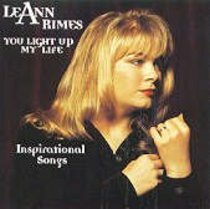 Singer LeAnn Rimes was born in Jackson, Mississippi on August 28, 1982. She was a two-week champion on Star Search, came to the attention of the public in 1995 while performing the Star Spangled Banner at sporting events and singing in over one hundred concert appearances. She is the youngest person every nominated for the Country Music Association Horizons Award and the Country Music Awards' Best Country Singer.